Chicagoans love their sausage. So does the König. 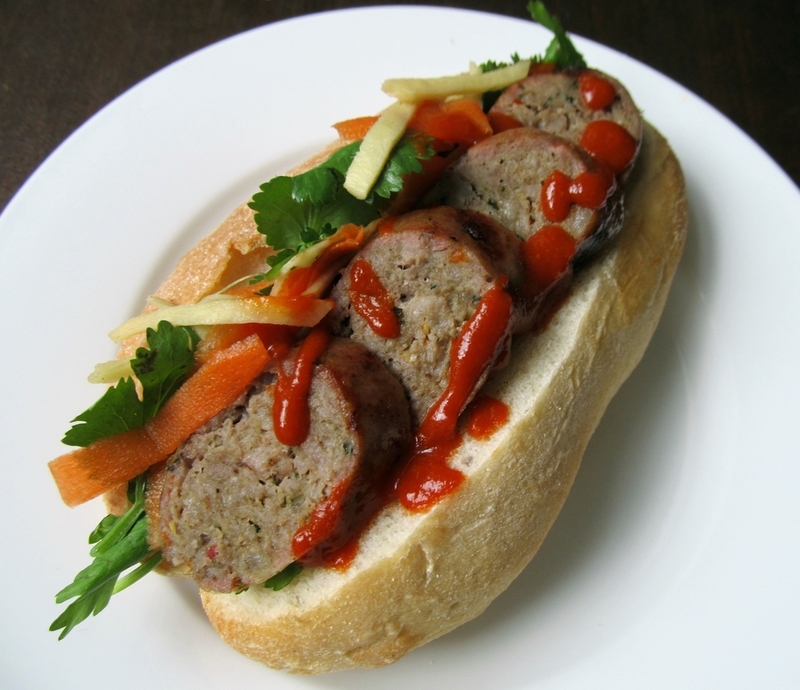 In fact, I love sausages so much I started making my own a few years ago. After years of hearing friends and family say ‘you should be selling these’ I’m doing just that. You now have your very own personal sausage maker who delivers. My goal is to give you amazingly flavorful sausages. Period. Ones like you’ve never tasted before. Fresh pork, chicken, boar, or duck seasoned with lots of herbs, spices, and some salt. That’s it. Over the years I’ve come up with some tasty sausage recipes, ones which are great with pastas, soups, beans, or the old fashioned way....just grilled. 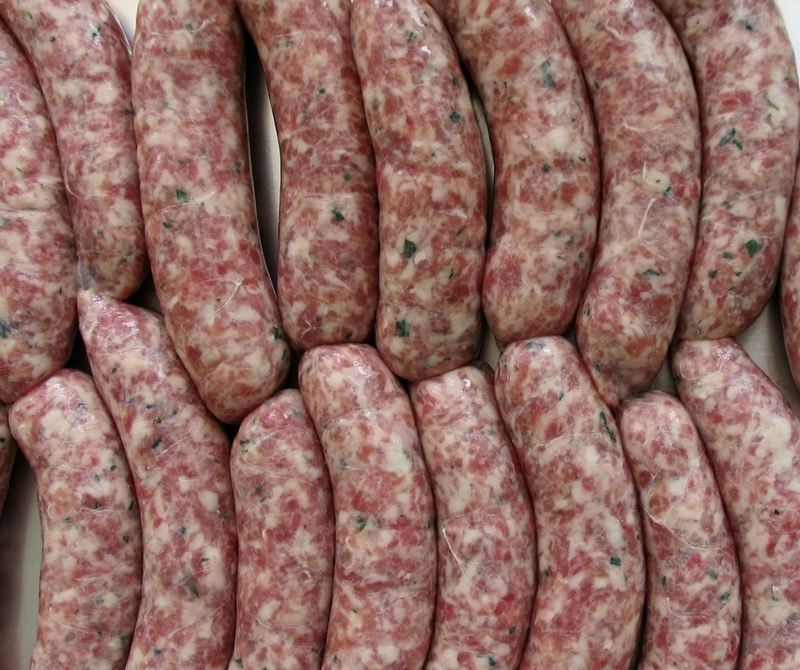 All of my sausages are handmade and available for ordering with local delivery here in Chicago. Each variety comes in one pound packages containing 4 links each. If you're having a large party and need a special order, just ask. I can make as much as you want to order and eat. Check out the list of our in-stock sausages and make sure to register as a Sausage Supporter in order to get an exclusive email about our monthly specials. We also offer catering service with Truffle & Pig Catering. Thank you! An invoice from Square will be sent to your email shortly. Pork, Our take on a hot Italian with smoky Spanish pimenton. If you like spicy, this is for you. Lamb/beef, tangy, spicy but not hot (comes in a rope, not links), No Pork! Chicken, a taste of southern France in sausage form, No Pork! Chicken, seasoned with Spanish moruno spice blend - pimenton, turmeric, fennel, cumin, and Mediterranean herbs, No Pork! Chicken, Flavor is similar to herbs de Provence but with some added flavors like brown mustard seeds, garlic, savory, and sage; tastes like roast chicken, No Pork! Chicken, a fan favorite from the 2018 market season which is so good we had to put it on the menu, tastes exactly like you think it would, No Pork! Pork, Smoked German hunter's sausage, ready to eat! Pork, Smoked sausage with Cajun heat, ready to eat! Good in gumbo too! For March and April’s Special Dinner Service we’re offering more than just one choice. We’re keeping the Lamb and Polenta Shepherd’s Pie and adding our Olive and Saffron Braised Chicken and Pork & Beans (pork belly confit and stewed white beans). One serving for $16 or dinner for two for $30. Weeknight deliveries M-Th through April. Any food allergies? If so please advise. Thank you! I’ll send an invoice and will email to find out which day you’d like dinner delivered. Want to try some of our sausages? Catch us at one of these upcoming events where we'll be serving and selling our wurst! 4-6pm 3345 N Lincoln Ave, Chicago - We’ll be back at Bitter Pops with Pastrami Wurst Sliders samples to taste with beers in their tap room. Sign up for our mailing list so you won't miss out next time! Simple! Did you see the 'Order Sausages Here' button above the menu? Go ahead, scroll back up and look. Click on it, enter in the amounts you want for each sausage and click 'Send Me The Invoice.' In a short while you'll get an email with your grand total and a link where you can pay online. Once paid we'll schedule delivery. Need a large order for a big party? Contact me directly at the email below. Not quite sure yet? Become a Sausage König Supporter by signing up for our mailing list to stay on top of sausage specials, news, and events. Ok, so you know you can grill sausages, simmer them in water like a hot dog, saute in a pan, or even bake them in the oven. But what else? There are many things you can add sausages to which, let's be honest here, make the dishes that much better. Here are some classic combinations we enjoy! In just about every culture you'll find some sort of sausage and beans dish. 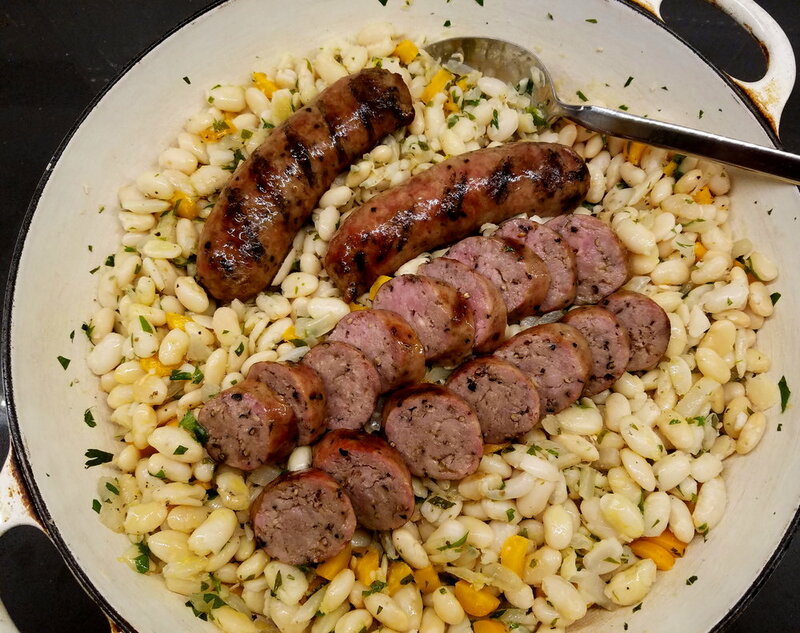 Our smoked black pepper sausage is the perfect addition to stewed white beans, just like the Catalan botifara amb mongetes. When the cold weather hits you need soup. The Garlic-Thyme sausage makes a great addition to any soup or stew. Want heat? Just use some Spicy Spanish or Cajun Brats. Transform a veggie side dish into a delicious main course but adding some sausage to greens and other veggies. And sausage and peppers never tasted better when you use the Italiano and/or Spicy Spanish.